I’ve been fairly distant from my blog for quite a few months… work has been very busy and preparing for the PowerShell Summit really took quite a bit of time. On top of all of that I was also traveling to Microsoft TechEd shortly after the PowerShell Summit. The PowerShell Summit was an amazing event, probably the most well prepared conference I’ve attended. The venue was great, the evening events were very cool and the food was fantastic! I was lucky enough that my presentations were Monday morning, so I was able to relax and enjoy the remainder of the conference. One fun thing that wasn’t well known is that the Sunday before the conference I did a quick run through my VM’s to validate my demos would work… I started walking through my SharePoint Demo and guess what… no go. Luckily I had all of the media on my local machine, after troubleshooting a bit I gave up and rebuilt the demo day before presenting it. Everything went smoothly the next day. I was also lucky enough that Aaron Hoover sat in on my PowerCLI: How to Automate Your VMware Environment Reports session and recorded everything. The recording was done on a webcam, so you will see it have to refocus occasionally. I have the slides posted on the blog so you can follow along with those. It was a great experience presenting at the PowerShell Summit and I hope present in coming years. Now the very exciting information at the Summit did not come from my session, but sessions from Jeffrey Snover and the PowerShell Product team. This morning I presenting PowerCLI – Automating Your VMware Environment Reporting at the PowerShell Summit 2014. Below is the PowerPoint that was used during this presentation, with additional slides including screenshots of the different steps we went through with the demonstration. I was recently asked to write a review for Learning PowerCLI. 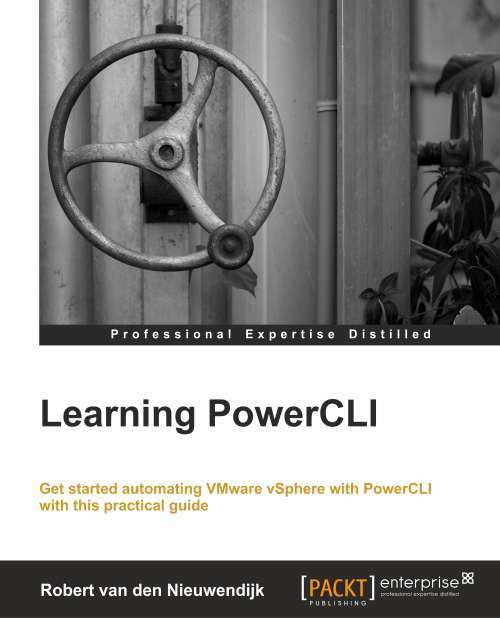 My day to day job doesn’t deal with PowerCLI as much as I’d truly like it to; however I’ve been playing with VMware and PowerCLI quite a bit after hours, so I decided this would be an interesting undertaking. This is my first Book Review, and as time progresses I’ll try to write more of these. I tend to read 5-10 technical books throughout a year, and I use even more as references for day to day work. Today I presented Intro to PowerCLI at the IndyVMUG Conference. As promised I am posting the PowerPoint slides that were used during that presentation. This session covered the basics you should know in PowerShell before you start playing with PowerCLI, a slight glimpse into using PowerCLI and some scripting.